The recent publication of two Nature papers on acid treatment produced stem cells (so-called STAP stem cells) has been a blockbuster story in the stem cell field and has grabbed major global media attention as well. For background my review of the paper here and more thoughts here. Many people understandably want to learn more about STAP stem cells. For that reason, I invited Dr. Charles Vacanti to do an interview on my blog. Dr. Vacanti is Professor of Anaesthesia and head of the Department of Anesthesia at Brigham and Women’s Hospital, and is senior author on one of the papers and also an author on the other one. Vacanti kindly agreed to be interviewed for my blog. As you’ll see, I asked balanced, but probing questions. It’s a very intriguing interview including a connection of STAP stem cells to what Vacanti’s lab reported as a surprising finding about a dozen years ago of a unique, tiny, super tough kind of cell lacking a nucleus called a “spore stem cell”. 1. How do you think acid treatment leads to reprogramming to pluripotency/totipotency to create STAP cells? What is the most likely molecular mechanism? Vacanti: This is an extremely difficult question to answer. Superficially, we believe that several epigenes were modified, we demonstrated demethylation at several of these sites, that results in a loss of inhibition of many genes, leading to pluripotency. 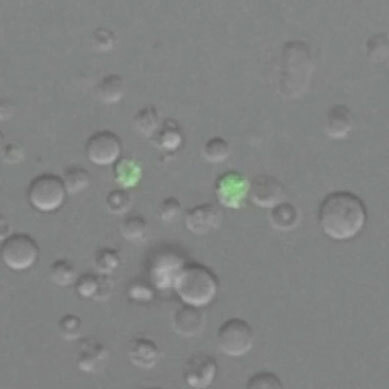 This was done by mimicking the environment that cells “see” during tissue injury, which interestingly, is very similar to the “harsh” environment to which cells are exposed when “isolating” stem cells . Perhaps the isolation process causes mature cells to revert to stem cells, rather than just finding exiting stem cells. 2. Low pH occurs naturally in the GI tract exposing billions of cells of various types to low pH normally or in GI disease states. Yet we do not see teratomas or teratocarcinomas popping up in the GI tract on a regular basis. What are your thoughts on that? Vacanti: This specific question was answered in an article in Cell in November 2013. Scientists reported that in the stomach with its low pH, mature cells reverted to stem cells. Cancer is a different issue, about which I am not an expert, but the stomach is specially equipped to deal with the low pH environment. This may explain lack of tumors. I believe that cancer and tissue repair/ regeneration are all connected. 3. Have you been able to definitively make human STAP cells? What about making STAP cells from adult somatic cells? Vacanti: We believe so, but have not yet done the plethora of tests on these cells that we did in the report. 4. Do you think other labs will have a relatively straightforward, easy time to make STAP cells too now? Have any other independent labs indicated to you that they’ve now already done this successfully? Vacanti: Yes. I believe they will. It is easy. I suspect that it has not yet been repeated in 2 days. 5. Are there some methodological subtleties to making STAP cells? Would you be willing to make available a full, step-by-step, day-by-day detailed Vacanti lab protocol with notes, etc. on making STAP cells for the global stem cell community? Vacanti: No subtleties. We studied 7 stresses. We focused on one effective stress, low pH. I suspect that many more effective stresses will be described. If not, we would be delighted to give a “how to”. But that is essentially what the paper is. 6. Has the full genome of any STAP cells been sequenced? Do they have any mutations? 7. How about the epigenome–do you have full methylome or full genomic histone modification data profiles of STAP cells? Vacanti: Not complete, but it was a fairly comprehensive publication. 8. You have published some revolutionary findings and outside the box hypotheses in the past such as spore stem cells. What’s your thinking today on spore stem cells? Is there any connection between the STAP cell stress reprogramming concept and spore stem cells, which you reported were able to resist great stress like desiccation and freezing? Vacanti: It is our belief that they are one and the same. The report demonstrates that we were making these cells rather than isolating them. It may be a subtle, but we feel very important difference. We feel that many reports describing stem cells may indeed represent reports of how to make stem cells. It has been believed that the harsh environment associated with the isolation process killed mature cells, allowing the hardier “stem” cells to survive, and be selected out. We were not dumb enough to again call them “spore like cells”, since almost no one read that paper. For several years, we believed that to be the case, but were fairly “gun shy” about being roasted again. But it seems that the time has come. 9. In the big picture, what do STAP cells mean for the iPS cell/cellular reprogramming field and even more broadly the stem cell field and medicine? Vacanti: I think that the iPS cell development was brilliant. I hope some day to meet the authors. It is our hope that this will add another option for generating stem cells for human therapy, without the need to create and destroy and embryo. 10. Is there anything else related to STAP that you think it is important to add? Vacanti: Our primary desire was to shed light on what we felt was a previously unrecognized biologic phenomenon that causes mature cells to revert to stem cells. We believe that this is exactly what happens in the body during attempts to repair any damaged or diseased tissue. The local environment of the injured tissue is swollen with excess fluid, acidotic, and has very low oxygen and contains many bad chemical mediators. This likely causes mature cells to revert to stemness, then mature cells necessary to do the repair. We attempted to mimic the environment of injured tissues to prove this. If the injury is too significant or repetitive, perhaps the cells revert back, and lose their environmental cues, and turn to cancer. Some tissues are specially equipped to handle of these stressful environments, such as the stomach lining, and do well. Big patent & IP implications or even ‘war’ from STAP stem cells? I take it that acid treatment won’t work on an isolated cell? Rather: Is the mechanism more like stressing a whole bunch of cells causing massive damage to some cells so that they release paracrine signals which induces other cells to make changes? Reminds me a bit of prolotherapy… Also, hard exercise and low calorie consumption increases MSC counts in marrow draws. All broadly part of the same story? Dr knoepfler, thanks for getting in touch with Vacanti! I’m in a ipsc lab and think that many details are lacking for reproduction, particularly for making STAP from fibroblasts etc. I would press the authors to publish those notes and any movies to facilitate reproduction. Also, have you thought about asking to see a whole-teratoma shot, since the tissues look too organized? Or the raw file from Facs since th PI plot looks funny? Or a red channel pic for the microscope to exclude autofluorescence? We def are trying to reproduce, but so far Im afraid to keep staring at dead crap and sloppy figures. We need to know asap before too many mice are killed for their spleen! I like Dr. Vacanti´s answer to question number #7! He is very diplomatic about that one. As I posted on your first report of this paper, ES and iPS are dead in the water for regenerative medicine….if STAP and VSELS are real. Thank you doctor for this sort of analysis. We need this sort of thing to be known about all this stuffs. Stap cells and others were unknown facts for me. Very interesting interview, particularly after some time has passed.